Manufacturing thin film circuits using an anisotropic ion beam milling process has long been considered a more precise and repeatable approach over the more random and uncontrollable process of material subtraction via chemical etching. 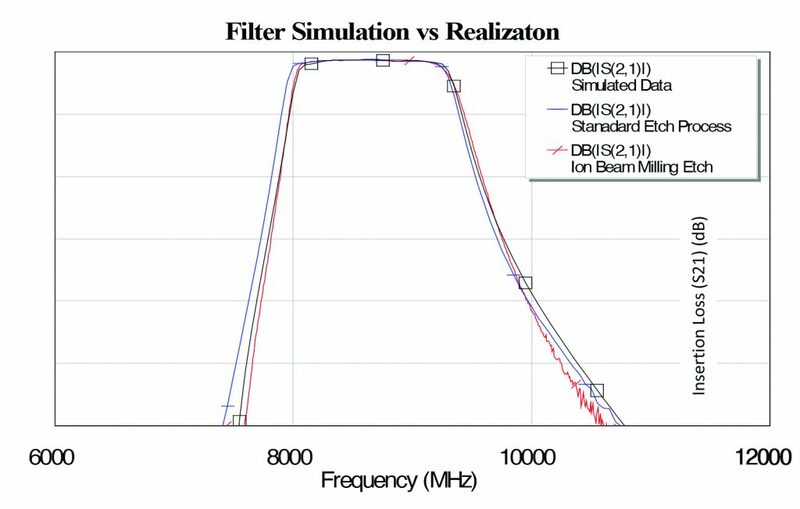 This paper describes experiments conducted by Ion Beam Milling, Inc. (now SemiGen, and heretofore referred to as such) that examined the degree of variation in performance of an RF filter circuit design optimized for 12 GHz and 24 GHz. Each were produced via the two processes. Chemical etching has been employed in the fabrication of circuits from the very beginning of the electronics industry. Dangerous chemicals not withstanding, it is a relatively straight-forward process for a manufacturer to implement. In its simplest form, it can be conducted with a couple of beakers and etchants. But even while considerable advancements in processes and technology have improved outcomes, chemical etching’s basic mechanism of fluid dynamics is by nature its biggest drawback. To understand this limitation, one need only look at the Grand Canyon. The canyon is a very visual example of fluid-based etching at work. Looking at the sides of the canyon, one can see how a fluid-based etching process produces significant variability across both the horizontal and vertical planes. Beyond the issue of inconsistent etching, the chemical etching process has two other major drawbacks. First, because it is a dirty process, (particularly as the etchant becomes saturated with dissolved materials), care must be taken to guard against re-deposition of etched materials on the substrate. The second issue concerns the production of waste. Over time, etchants break down and must be replaced. The spent etchant then needs to be disposed of in an environmentally acceptable way. As a better approach to etching was desired, research to this end was conducted by SemiGen’s Ion Beam Milling, Inc. team and other companies in the late 1970s. Hence, one of the notable achievements of this period was the Kaufman Ion Source. It was developed by Dr. Harold R. Kaufman while serving on the faculty of Colorado State University (CSU) in the Physics and Mechanical Engineering departments. Dr. Kaufman came to CSU after a long and distinguished career working on ion and electron beam propulsion systems for NASA. While at CSU, he accepted an invitation by us to modify the ion beam design for thin film etching applications. His creation was the Kaufmann Ion Source and it became the basis for many etching and sputtering systems. 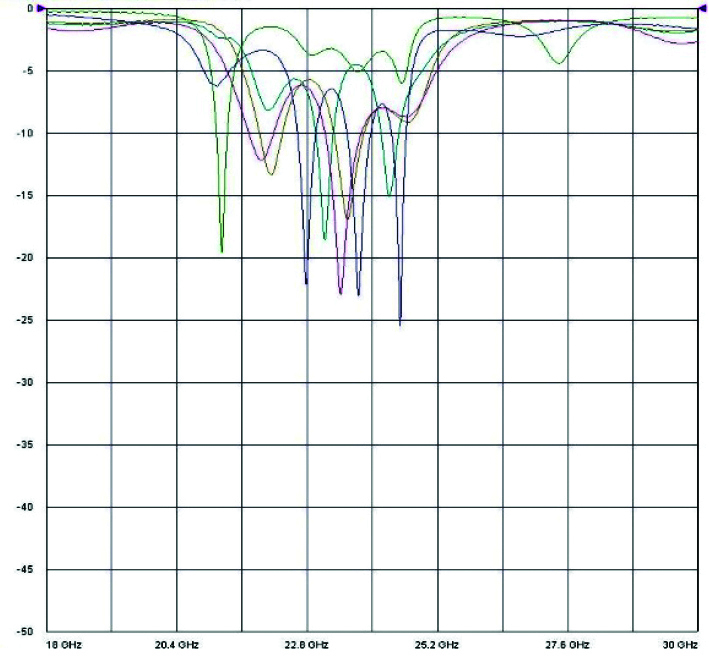 The Kaufman Ion Source solved several issues. First, the ion beam milling/etching takes place in a near vacuum. Therefore, it is a much cleaner process than chemical etching, as waste material is literally blown away from the surface of the substrate by the force of the ion beam. Secondly, unlike chemical etching, no waste products are produced. Finally, and most importantly, ion beam milling processes eliminate the etch variability of the chemical process, consistently producing smooth vertical sidewalls and thus circuit-to-circuit repeatability. One needs only to visually compare the results of ion beam etching versus chemical etching to see a difference, as shown in Figure 1 and Figure 2. Paying close attention to the space widths in both pictures, one can see in Figure 1, there is significant variation in the width between the lines due to the variability of the chemical etching process. The ion beam etched example in Figure 2 shows nearly perfectly straight lines and consistency in the width of the spaces separating the lines. This inconsistency will present two problems. First, each module containing a chemically etched filter may require individual tuning to get the module into spec, which incurs additional time and money. Secondly, at higher frequencies, the inconsistent spacing may produce undesired interference, shifting the performance of the filter away from the designed frequency response. Figure 3 and Figure 4 at 1000X further demonstrate the difference in edge acuity. To validate the improved performance assumed through visual inspection, SemiGen conducted several experiments in partnership with two other companies to determine how much of a difference the ion beam etching process makes. The initial step was to design several simple bandpass filter circuits that could be produced using both processes. 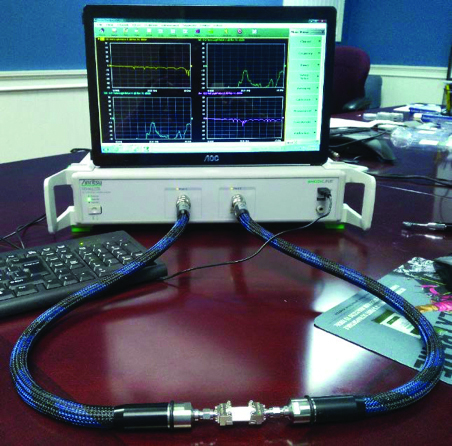 The performance of these circuits was then compared using a vector network analyzer (VNA). For the first round of testing, two filter designs were created (one at 12 GHz andthe other at 24 GHz). A bandpass 1/2 wavelength resonator filter design was chosen because its combination of line widths and spacing would be a good test of the relative capabilities of the two circuit manufacturing techniques. Furthermore, the filter’s performance could be easily measured using available test equipment and coaxial interface fixtures. The circuits were manufactured on 10 mil thick polished Alumina (Al203) substrates using titanium-tungsten (TiW) and gold (Au) metallization (See Figures 5, 6). 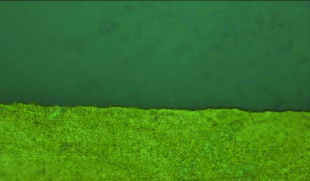 While nickel (Ni) is commonly used as a barrier layer for solder applications, it is a poor candidate for chemical etching due to its propensity to be undercut by the etch process. Because of this, it was decided to omit Ni from the ion beam etch test designs to provide for a better comparison. The same design was used for both the ion beam milled and chemically etched test pieces. However, different photomasks were employed, as chemical etching requires an etch correction factor, whereas ion beam milling etching does not. The filters were designed to use Southwest Microwave SuperSMA™ End Launch Connectors that are rated for frequencies up to 27 GHz. The connectors are designed to introduce minimal fixture variability into the test environment (see Figure 7). To make the experiment as fair as possible, the chemical etched circuits were produced by a third party with more than twenty years of experience with that process. SemiGen produced all ion beam etched circuits used in the test. Prior to presenting the results of the testing, there are two things that need to be kept in mind. First, these test circuits were created from a standard design, and in the case of the 24 GHz design, scaled up to reach the higher frequency. No simulation software was used in the creation or tuning of the filter designs. Secondly, aside from the etch method and the photomask etch factor, there are no differences between the ion beam etched and the chemically etched samples. Five samples of the 12 GHz bandpass filter were selected (out of ten that were manufactured) and assembled into the end launch test fixtures (see Figure 7 and Figure 8). 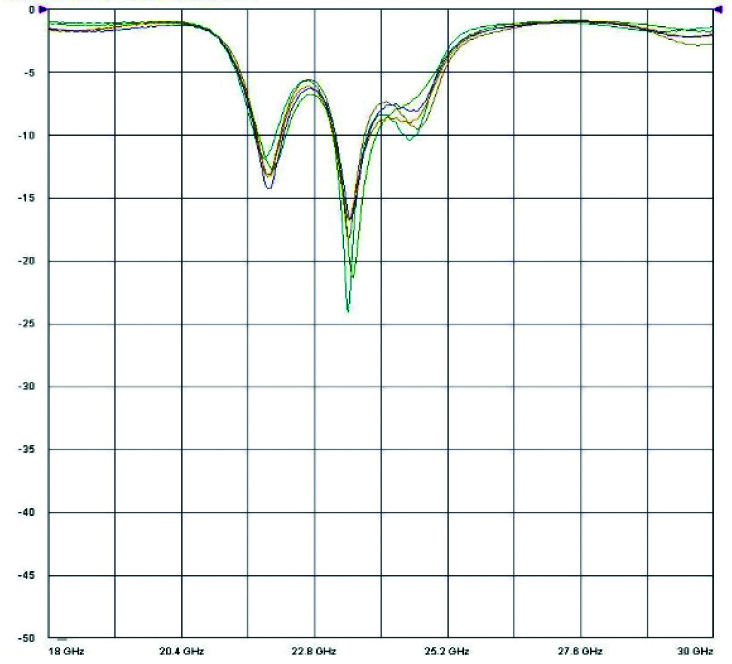 Frequency sweep testing was performed using an Anritsu Shockline™ Vector Network Analyzer, Model MS 46322B, as shown in Figure 9. Following very careful visual inspection to cull out any obviously defective circuits, five ion beam etch circuits and five chemical etch circuits were selected. The five ion beam etched and five chemically etched circuits were mounted into fixtures and tested one at a time. 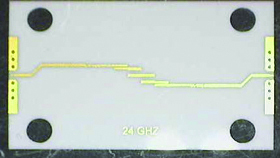 The same procedure was followed for the 24 GHz filters. 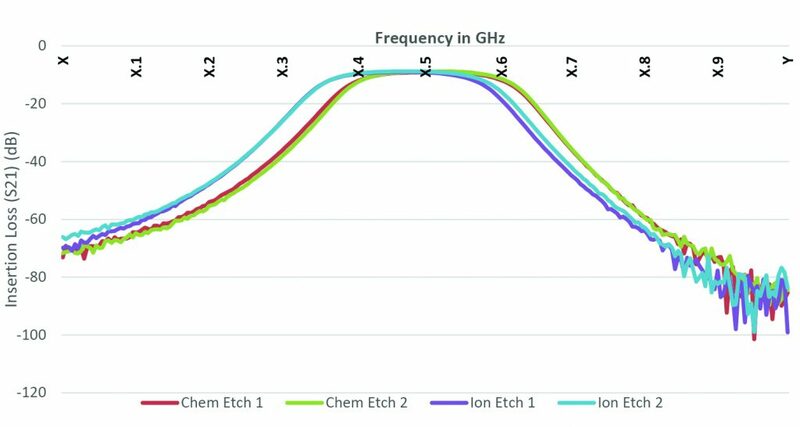 A comparison of the return loss on the 12 GHz circuits between the ion beam etch and chemical etch processes does not show much variability. Both sets of circuits demonstrated reasonably similar return loss performance, both in terms of circuit-to-circuit consistency (repeatability) and overall performance. Performance changed rather dramatically, however, once the frequency was increased to 24 GHz. While the performance consistency of the circuits produced by the ion beam milling process at 24 GHz is similar to the results of the 12 GHz circuits, the circuits that were chemically etched show a radically different result. 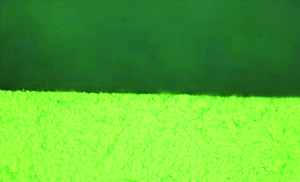 Not only are the chemically etched circuits inconsistent in terms of their intended rejection frequencies, but also circuit-to-circuit repeatability was no longer demonstrated. For the simple filter designs tested, chemical etching appears to remain a viable approach provided the RF frequency is relatively low. This stands to reason, as the dimensional errors produced by chemical etching are small relative to the longer resonators, at say L-band. Thus, chemical etching remains a viable option for some lower frequency radar and communications applications. But as microwave development continues to trend towards millimeter-Wave frequencies, the usefulness of a chemical etching process becomes debateable. Plus, as RF and microwave engineers develop a disciplined approach to high frequency design with ion beam milling as their manufacturing process in mind, they will find this expertise easy to scale down at lower frequencies, too. This will drive down cost of lower frequency designs, as well, while providing the same performance, yield, and repeatability advantages achieved at higher frequencies. 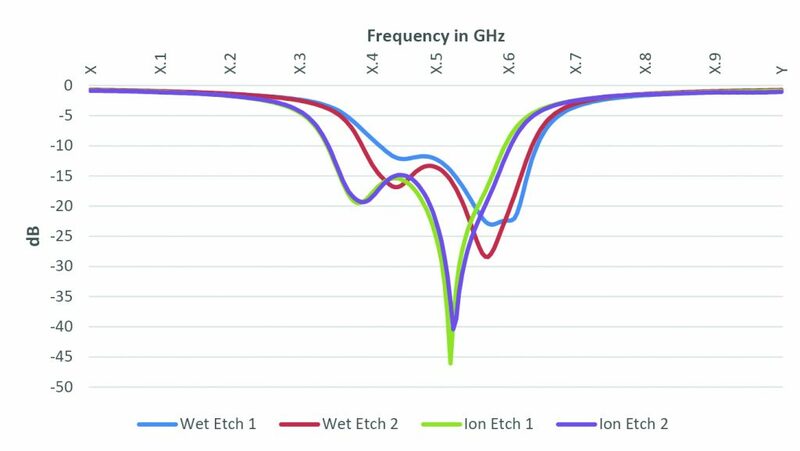 While the testing performed so far does not identify a definitive frequency crossover point, it’s safe to presume that for circuits designed to operate at frequencies approaching 18 to 24 GHz and beyond, chemical etching may yield substandard results when compared to the performance of ion beam etched circuits. As noted earlier, the circuits tested during this phase did not incorporate nickel in the designs. Had nickel been required by the design, it is likely that the significant variability in undercut rate of nickel (common to the chemical etch process) would have manifested in even greater variability and performance deficiencies relative to ion beam etched circuits. The results obtained from the simple filter testing prompted the exploration of etch method processing differences when a more complex circuit design is employed. To this end, SemiGen experts requested permission from another company with which it has a long-standing relationship to use one of their designs in head-to-head testing. The company agreed with caveats. First, SemiGen is unable to disclose the identity of the other company, or to show any images of their design. Second, we cannot disclose the operating frequency and must either redact or modify frequency information if the choice is made to include return or insertion loss data. What can be disclosed is that the design is a relatively complex bandpass filter that operates at a frequency below 10 GHz. A small quantity of test filters that would fit into the Southwest Microwave end launchers were manufactured. 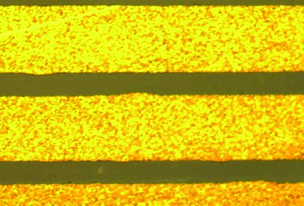 Unfortunately, due to the relative thinness of the substrate material, combined with the longer length of the circuit (a result of the more complex design), more test substrates were broken than expected while connecting fixtures to the VNA. As a result only three chemical etch samples and two ion beam etch samples survived the testing long enough to produce meaningful data. 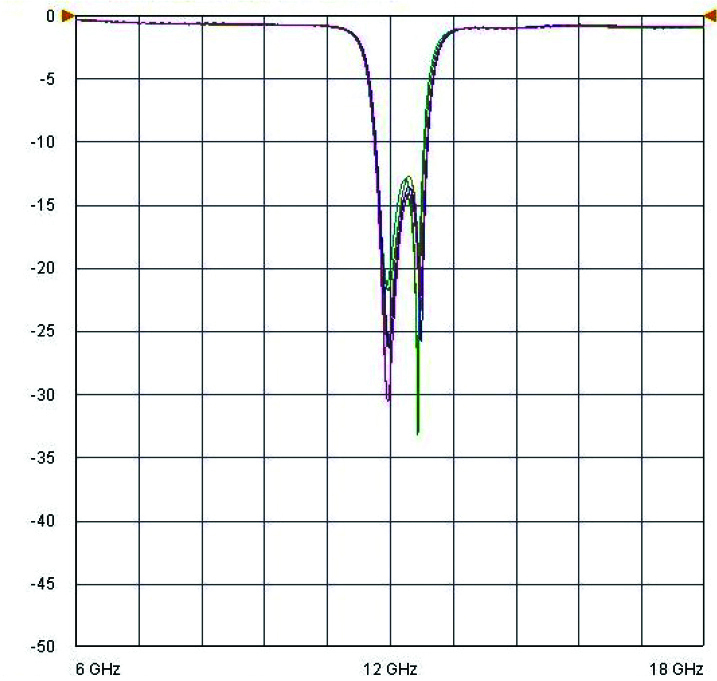 Figure 14 shows the return loss (technically S11 because the values have negative signs) over a 1 GHz interval. First, while the ion beam etched circuits followed an almost identical track, the chemically etched circuits display greater circuit-to-circuit variability. The data from the third chemically etched circuit showed performance significantly worse than the other two depicted, so it was intentionally omitted as defective. The second item of note is the shift in the rejection frequency demonstrated by the chemically etched circuits. According to the company that supplied the designs, the ion beam etched circuits more closely follow the ideal curve predicted by the filter designers. 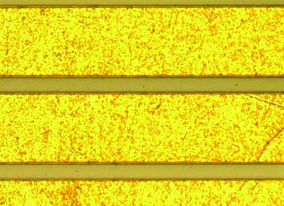 The chemically etched samples show a divergence from the optimal frequency that would require tuning by the customer to make them suitable to be used in module builds. The next figure (Figure 15) shows the insertion loss over the same 1 GHz interval. 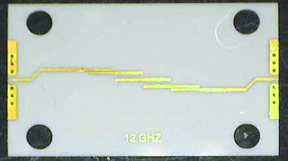 The chemical etch test circuits display the same frequency shift seen in Figure 14. It may be argued that the frequency shift displayed by the chemical etch process could be planned for and designed around. This explanation presumes that it is possible to ensure circuit-to-circuit performance consistency using the chemical etch process—an assumption that both conventional wisdom and the testing so far has shown to be false. To complicate things even further, this circuit design does include Ni in the metal stack. As noted earlier, Ni does not etch consistently from batch-to-batch, so it may be impossible to fully compensate for frequency shift in the design itself and instead would require individual circuit tuning. As Ni does not present the same sort of problem for ion beam etching, circuit-to-circuit repeatability should be exceptional, even if the design includes Ni. Figure 17: Filter simulation vs. realization Note: The frequencies shown on this chart are not the actual operating frequencies for this circuit. Unrelated to SemiGen’s testing, another affiliated company approached the experimenters and asked if there would be interest in making several ion beam etched samples using an existing design the affiliated company already possessed. As it stood, this design was used to produce circuits using a chemical etch process and the affiliated company was interested in knowing if there would be any differences with an ion beam etch approach. 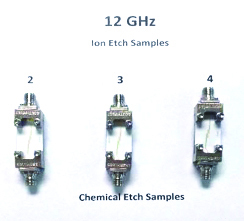 The affiliated company measured the performance of the ion beam etched circuits, and the representatives expressed amazement at the difference compared to the chemically etched samples. The feedback was that this was the first time that real-world performance closely matched the theoretical performance of the simulator. The company agreed to provide SemiGen with data via two charts with commentary. The black line in Figure 16 and 17 shows the simulator-modeled performance curve. 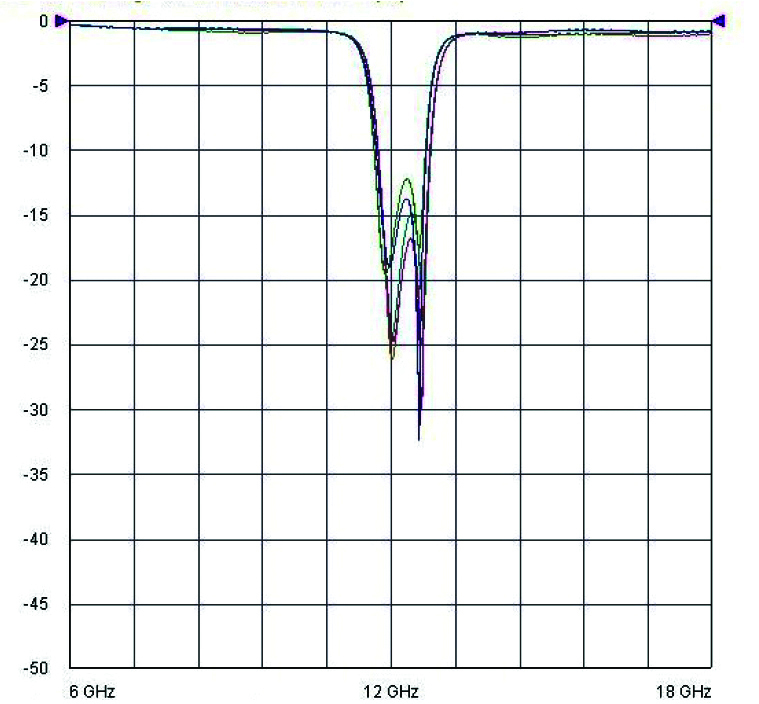 The blue line represents the performance of the chemically etched sample while the red line represents the ion beam etched sample. “Etch accuracy allows first time success in terms of filter bandwidth. Standard process (chemical etch) may result in re-spinning circuits to correct for errors caused by over- or under-etching of metallization. With their current chemical etch process, the company would need to iterate through a few designs to tune the finished circuit to match the ideal design. This is time consuming and costly. Furthermore, as chemical etching is itself variable, even if the design is tuned to a single run of product, there is no guarantee that future production runs will yield consistent results. By comparison, the ion beam etched test circuits closely matched the simulated performance. This enabled the affiliated company to immediately put these circuits into production. 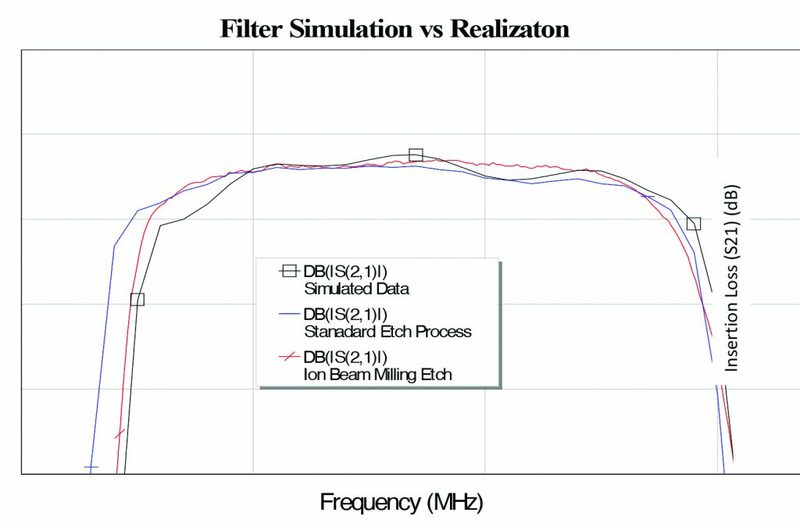 “The ion beam milling process improves filter bandwidth response as seen in the previous chart, while realizing rejection criteria established during modeling. As with the prior chart, the company noted potential cost savings and performance improvements the ion beam etch process affords over the traditional chemical etch process. Further support came in the form of a purchase order for a sizable run of of the ion beam etched circuits. Ion beam milling, or etching, produces such precise and repeatable thin film circuits that it should be seriously considered as the only option for production of circuits for highly critical applications. This is especially true for circuit designers who work consistently above 1 GHz. The degree of performance improvement is tied to a variety of factors, including the complexity of the circuit design, feature size, and proximity of trace lines. For design for manufacturability (DFM) and application assistance, contact the SemiGen Technical Support Team.